The Thermenregion has a grand history. The wines it produced were already internationally famous and highly sought in the Middle Ages. Designations of origin like Gumpoldskirchen for white wine or Vöslau for red wines were known for outstanding quality and were in high demand. The new Austrian wine law of 1985 marked the beginning of a second era for the region. Gumpoldskirchen and Bad Vöslau, formerly two separate wine-growing areas, were united to become the Thermenregion. The region encompasses 2,181 vineyard hectares. It is directly adjacent to the southern city limits of Vienna and follows the western border of the Vienna Woods toward the southwest. 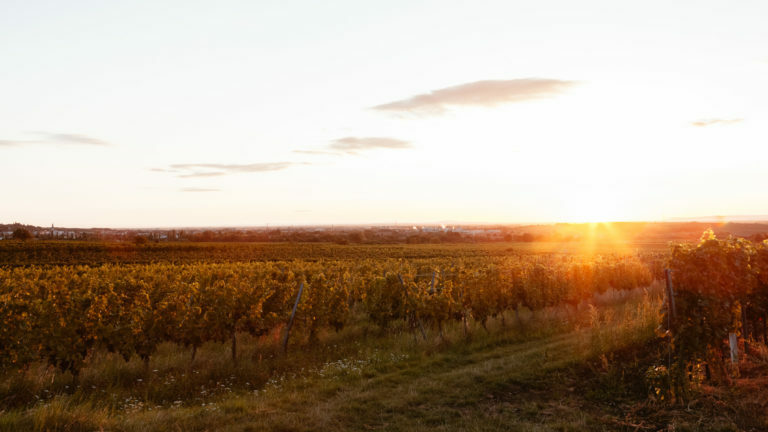 The Thermenregion vineyards nestle on the slopes of the Vienna Woods and its foothills and face south to southeast. Vines benefit from a Pannonian subcontinental climate with hot and dry summers, dry weather in autumn and a relatively cool winter. The Thermenregion wineries are distributed between 42 different wine communities. The most significant viticultural centres are Bad Vöslau, Baden, Gumpoldskirchen, Mödling, Pfaffstätten, Sooß, Traiskirchen and Tattendorf. Subscribe for the Weinland-Newsletter and stay up to date about news and events. You will receive our newsletter irregularly.